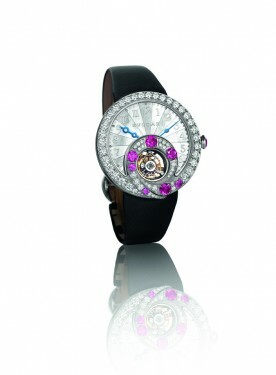 Corum watch to feature a metallic decoration on its sapphire case back. It depicts an extract from the original score of Beethoven’s 7th Symphony. The piece will be available in white gold and pink gold. Corum also teamed up with Reuge to mark this partnership and to give the “Golden Bridge Joachim Horsley” a unique presentation case. Specially designed for the artist, this music box will play three of the melodies personally arranged by Joachim Horsley. The PR100 Lady Sport Chic is a daily wear watch combining a streamlined, dressy aesthetic with sporty overtones and a matching robustness. 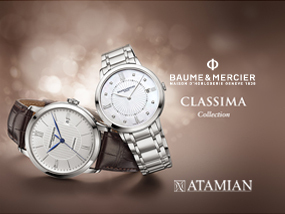 The case is 36 mm, which is bigger than previous PR100 Lady models. 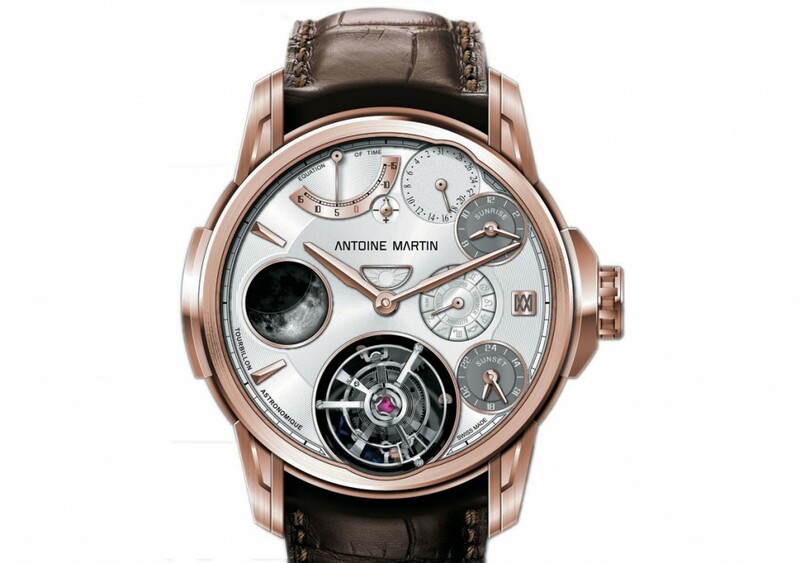 It is made of durable 316L stainless steel with a two-tone rose gold PVD and steel option. 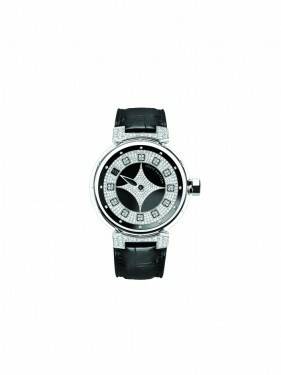 Quality features include a sapphire crystal, 12 Top Wesselton diamonds on the dial and water resistance to 10 bar – well beyond the depth rating of most ladies’ daily wear watches. The movement is quartz, with an essential End-of-Life (EOL) feature that takes the surprise out of battery depletion, allowing the wearer to plan ahead. The dial is mother-of-pearl or sunray finished, with or without diamond indexes. The hands and indexes on sunray finish dials are treated with luminescent material. Functions include hours, minutes, seconds a window at 6 o’clock. Sporty yet feminine! 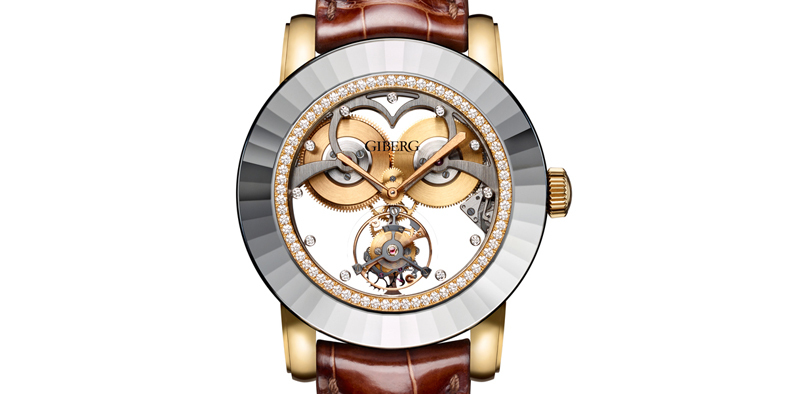 Giberg Haute Horlogerie reinvents time itself with Alagaro, its first men’s timepiece complete with a caliber made in-house, the Giberg Flying Tourbillon “Trilevis 6118”. Alagaro is an irresistible, masculine reflection of its wearer, an enthralling play on light and transparency with a sapphire dial and caseback that reveal the whirling tourbillon at 6 o’clock to the admiring eye. The gray ceramic sapphire flange encloses a circle of 70 diamonds which echo the brilliant-cut diamond hour-marker at 11 o’clock. 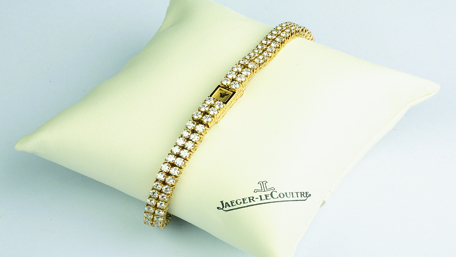 The 3N yellow gold case is delicately attached to a brown alligator strap. This is a single original piece. A personalized version of the Alagaro may, however, be made to order. 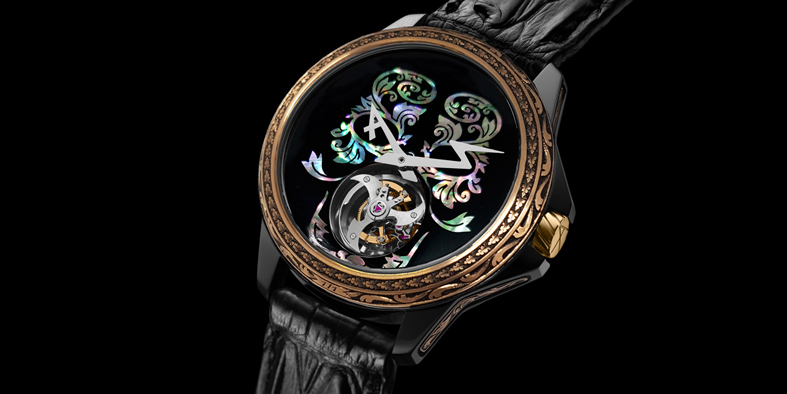 ArtyA is proud to present an exceptional masterpiece entirely handmade from the case (designed by Yvan Arpa and engraved by Bram Ramon) to the dial, (handcrafted in mother-of-pearl in the purest Ott-Chill’s thousand-year-old tradition) and the movement, ArtyA’s own manufacture tourbillon. 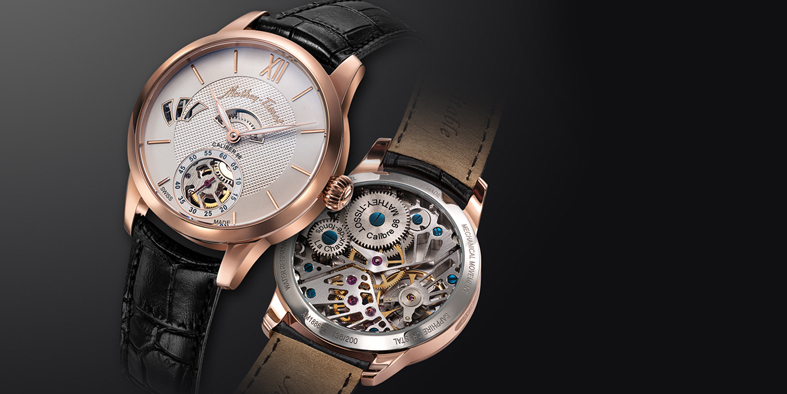 This exceptional work of art is a real tribute to the highest combined savoir-faire of “métiers d’art” and refined complicated movement. The result is a totally outstanding, fascinating and never seen before Artwork. One more surprise from ArtyA where creativity, avant-garde concept, and innovation is set at a level never reached before. This one-of-a-kind creation is powered by a mechanical movement exclusive to ArtyA, while revealing the fascinating rotations of its flying tourbillon at 6 o’clock. The elegant Edmond AM 1886 PZ Calibre 98 is for those who are deeply passionate about their timepieces and to watchmaking heritage. 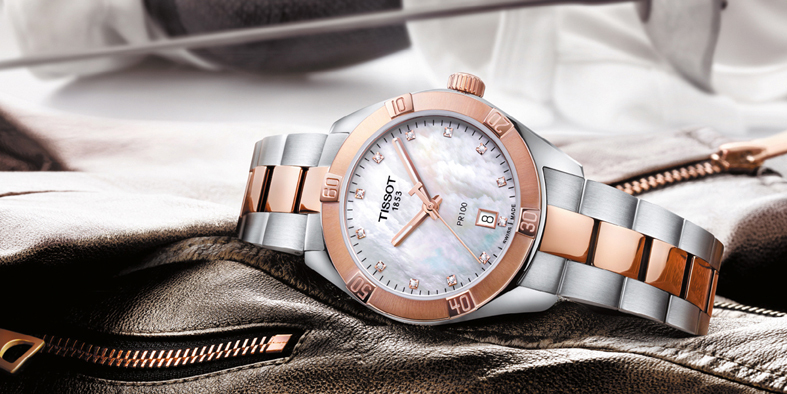 Mathey-Tissot makes an elegant selection of timepieces for men and women, with a special expertise in extraordinary dials. The Edmond AM 1886 has a case of 316L stainless steel with rose gold PVD, featuring a dial with windows cut into it to expose the wheels and gears of the hand-wound calibre 98. The watch is water resistant to 50 metres, making it suitable for swimming. 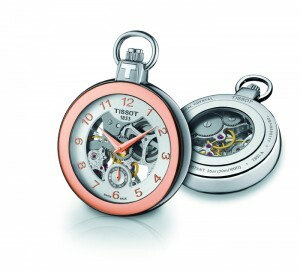 The watch is a limited edition of 200 pieces.